The spring 2010 Laws & Ethics class will be offered in a condensed format at the end of the spring term. It will be on Monday and Thursday evenings, from 5-7:00 pm, beginning on Monday, May 3rd. 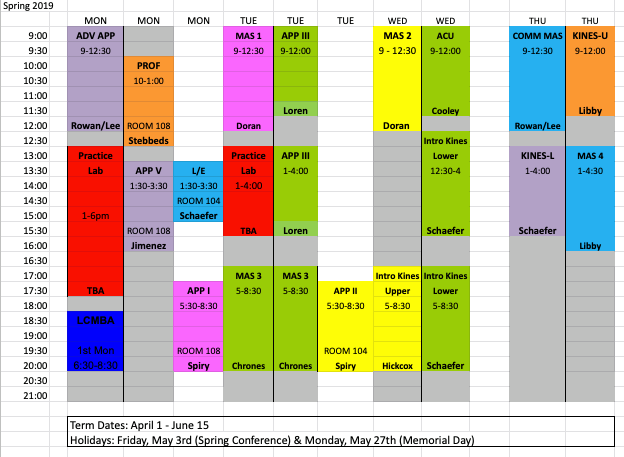 Due to the Memorial Day holiday – on Monday, May 31st – the last class of ten will fall on Monday, June 7th. The Aspire catalog was printed before changes to the class schedule were made, so it does not reflect these changes. Please be sure to make note of the altered schedule in your own planning!